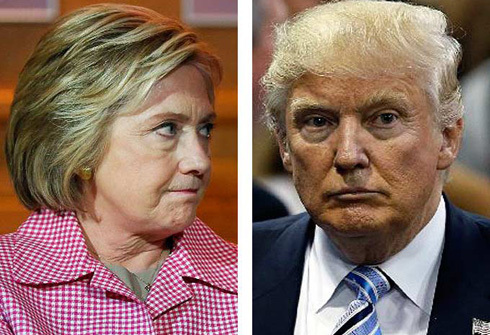 As of the start of August, it should be clear to voters that either Donald Trump or Hillary Clinton will be the 45th President of the United States. As a former supporter of Bernie Sanders’ campaign, this fact has proved difficult to digest. No doubt, Bernie Sanders served as the best representative for the movement towards a more just and democratic society. In spite of that, following Senator Sanders’ failure to secure the Democratic nomination, I have come to the conclusion that the most effective means of furthering the movement he represented is to ensure Hillary Clinton thoroughly defeats Donald Trump by a landslide in the upcoming general election. By no means has the movement with Bernie at its head dissipated or been co-opted; far from it. Politics, much like physics, demonstrates the conservation of momentum. Many of my fellow leftists and ex-Bernie supporters fear that backing Clinton will result in a neoliberal usurpation and expenditure of the progressive energy and hopes that Bernie tapped. Others treat the issue with a profound ambivalence, as though no essential difference exists between a Clinton or Trump administration. This line of thinking holds that progressive and left political groups would better serve their constituents and causes by refusing to enter into the incipient Clinton coalition. This self-fashioned third bloc of leftism sees itself confronting the same monster in either a Trump or Clinton presidency. They bolster their forces for what is predicted to be the same fight, regardless of electoral results. The former concern merits response; the latter, a thorough, thought-out, and unequivocal rejection. First, the claim that no essential difference can be found between the prospects of a Trump or Clinton presidency does not stand to even superficial examination. For starters, think about what a Trump presidency might look like. His insurgent attempt to steal the White House has failed to offer any concrete political program outside of his particular blend of Nativism and resentment. Whatever its problems, Clinton’s campaign regularly releases detailed policy proposals, subjecting the candidate to our ruthless criticisms. For all the bluster regarding Clinton’s abhorrence of transparency, in this instance, there is no question as to which candidate gives the left the room it needs to form a programmatic response. “Better the devil you know,” so they say. But more than the issue of familiarity, a Trump presidency stands as a categorically worse situation. In spite its lack of density, the tenor of Trump’s rhetoric offers a glimpse into the crushing defeat his presidency would represent for the left and for democratic movements generally. He willingly stirs up the divisive emotions of racism, xenophobic nationalism, and Islamophobia. Race, nationality, and religion have all been tools historically utilized by the bourgeoisie to divide and conquer working people. To a large degree, this pattern defines the social history of our nation. Time and again, the capitalist class devastates working class solidarity by fanning these same flames. A victory for Trump would legitimize these divisive forces in truly unprecedented ways. A Trump presidency would further the division between the white working class and ‘the rest.’ A Clinton presidency, by contrast, could offer an initial chance at rekindling solidarity within our fractured working class. What, then, is essentially at stake on November 8, 2016? Nothing less than the cohesiveness of our working class. History proves that without cohesive solidarity among the members of the working class, social change and progress halts. A Trump victory would destroy the possibility of social change and progress by cementing the division of the working class for the foreseeable future. For this reason, Hillary Clinton must not only win the election, but utterly destroy Trump’s attempts to divide the working class against itself. A landslide victory by Clinton would delegitimize and destroy divisive ‘Trumpist’ politics. In light of these considerations, anyone who considers themselves a part of the left must ensure Hillary Clinton defeats Donald Trump in the upcoming general election. Ambivalence has no place this time around. No doubt, a degree of ambivalent feeling is to be expected when a candidate the caliber of Bernie Sanders comes up short in the leadership contest. This leads to some of those genuine concerns considered earlier. Many progressives – millennials in particular it seems – distrust Clinton. They fear she is not only pandering to Sanders’ former supporters, but outright misleading them. Some cast her as the neoliberal rube of the neoconservatives. Surely, Clinton’s politics leave much to be desired. The question becomes one, however, of how the insurgent forces Sanders unleashed can maintain their progressive energy when in coalition with an established Democrat the likes of Clinton. The bulk of those asking such questions do not call for an outright rejection of Clinton as a candidate (like the aforementioned bloc of puritans), but instead wonder about how to maintain the vitality of an emergent practical and effective left. These are legitimate concerns, but they are largely of a theoretical nature in the current situation. Coalition-building and the theory thereof must be developed if Clinton seeks partnership and cooperation with the left. Criticism must remain vibrant in order to ensure liberals do not coopt and redirect the excitement and possibility Sanders unleashed. Otherwise, upon Clinton’s victory, the forces of the left will enter into opposition, a place all-too-familiar for those voices. Until then, progressives, leftists, and former Sanders supporters face an essential task: It is up to them to ensure the possibility of current and future working class solidarity is preserved. A Trump victory would steal the momentum unleashed by Sanders and crush it with an agenda of social, political, and economic retrenchment. A Clinton victory would leave that momentum up for grabs. It would remain a force still able to seize the opportunity for moving history along. Jim Roberts, age 22, is a recent graduate of the University of Virginia. He formerly volunteered for the Bernie Sanders campaign in that state. Jim currently resides in Los Angeles and engages in free-lance writing.